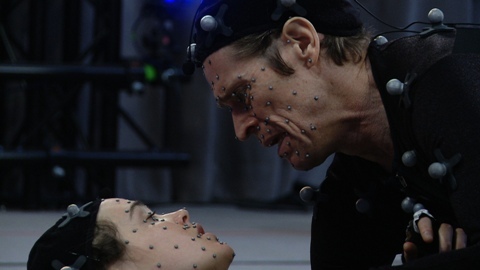 If a member of PlayStation Plus, now you can enjoy the demo of the upcoming game from Quantic Dream, Beyond: Two Souls. Here you can try the game for about 35 minutes and decide whether you do with it at launch. PlayStation users who have contracted the PlayStation Plus service, besides enjoying many games because of the subscription fee, can have the demo of this highly anticipated game, Beyond: Two Souls, which comes on the heels of Quantic Dream, also that was a very innovative game for years, the Heavy Rain, where every decision influenced the outcome of the game. If you want to play this demo but not a member of PlayStation Plus, you have no choice but to watch the video available and you can not play for 35 minutes unless you expect your future launch on October 1. An opportunity that has evaded many users who might become interested in this game but perhaps for not being able to have the demo in the first person, are ruled out. Remembering Heavy Rain, probably what we call more attention outside fully cinematic history where the gameplay was reduced but in which we could enjoy change history to our whim. And it seems that Beyond: Two Souls follows the same dynamics of decision-making, but, yes, improving the gameplay, as in Heavy Rain all of it was based on a sometimes unnecessary QuickTime events that burdened the atmosphere of mystery that brought history. Surely if these problems are solved in Beyond: Two Souls, probably we find a much improved game and enjoy big time if we are followers of the decision-making games.